Kimberly Schroeder MS, Certified Professional Life, Christian, & Success Coach.  Hi Geetanjalii, I would like to speak with you briefly to see if you're a good fit to coach me. Please contact me at your earliest convenience. Robert Quesada BS, MS, MBA, USC-M.S.W. Leonila Henriques BS, BComm, Certified BestMe_Life Designer&Coach; NOVASBE_Management; PNL/Nutricion/Entrepreneurship/Social Media and other short-term courses. Hi Leonila, I would like to speak with you briefly to see if you're a good fit to coach me. Please contact me at your earliest convenience. Hi Danna, I would like to speak with you briefly to see if you're a good fit to coach me. Please contact me at your earliest convenience. Hi Muhammad, I would like to speak with you briefly to see if you're a good fit to coach me. Please contact me at your earliest convenience.